What do you do when for your entire life your shapeshifting mother prepares for your ultimate mission, your death? That’s Shin’s purpose in life, to die, and most of it he’s spent hating the person intended to kill him—until they fall in love. T. Cook, author of Spinning Silk, has now added to the wondrous story of Furi and Shin. While Spinning Silk follows the life of Furi, Cook’s newest book, tells the story of the shapeshifting mortal who steals Furi’s heart and love, Shin. 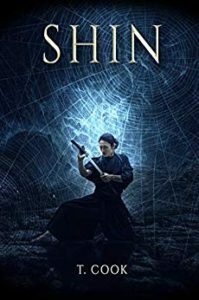 Shin, a story filled with the mysterious, is a fantasy loosely based on the Japanese Spirit Spider and Tanabata folklore. Fans of the Warp, Weft, and Weapon series will happily lose themselves in its pages. Who doesn’t like to learn more about the mysterious love interests in their favorite books? I love it! T. Cook doesn’t walk through the story of Spinning Silk from Shin’s perspective. Instead, she tells us the story of Shin. Readers learn about his life with his uncle and his immortal shapeshifting mother. We also learn how Shin became so knowledgeable about herbs and medicine and how he climbed the ranks as a Samurai. I enjoyed this addition to the Spinning Silk story. 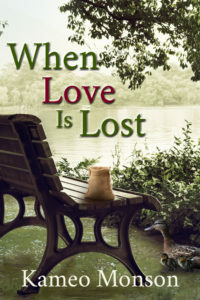 T. Cook’s writing is still filled with wonderful imagery capable of taking the reader’s breath away. The story includes some of the same scenes as Spinning Silk, but for the most part, the content is new and helps fans come to a deeper understanding of the turmoil Shin feels in the various missions he performs for everyone but himself. If you haven’t read Spinning Silk, do, then move right into reading Shin. You won’t regret it! In time, Shin wins the army’s loyalty away from the shogun to a cause he can’t be sure of himself, then strikes off on a new mission to recruit an assassin for the revolution. But this assassin is unlike any he has known before. She may kill him in the bargain, but only if all goes well. SHIN is a second- generation spin on the Japanese Spider Spirits mashed with Tanabata folklore traditions. It joins the ranks of Japanese light novels such as Goblin Slayer, and Overlord. Purchase your copy of Shin on Amazon. Read my review of Spinning Silk. I received a free copy of this book in exchange for this review. All opinions are my own.